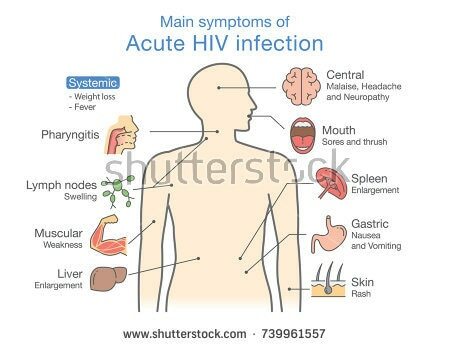 In patients infected with hiv early symptoms appear only in a minority of patients. majority of the patients do not develop any symotoms. Of the patients who develop symptoms most develop flu like symptoms like fever , bodypains , skin rash, and lymphnode enlargements which usually selflimting.